Boott Cotton Mills, founded by one of the original leaders of industry in Lowell, Kirk Boott, opened along the Merrimack River in 1835. As one of many textile factories that gave Lowell the nickname the “heart of the American Industrial Revolution,” the Boott Mills operated thousands of mechanical looms, turning out thousands of yards of textiles daily. The complex of buildings that comprise Boott Cotton Mills contains structures that date from 1835 through the early 20th century. 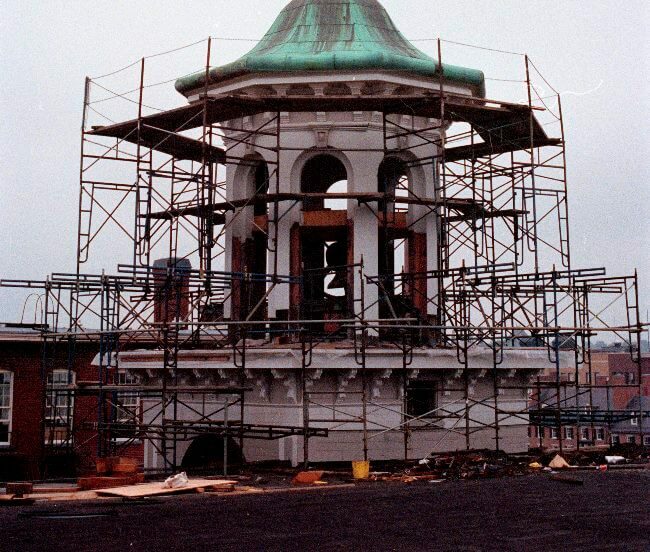 The original complex contained four brick buildings with gabled roofs, which were later removed and replaced with low-slope roofs when additional floors were added and stair and clock towers were added. Manufacturing companies migrated to the American South during the first half of the 20th century, leaving Lowell’s industrial structures vacant and vulnerable to deterioration—Boott Mills being no exception. In order to preserve Lowell’s important history, multiple forces initiated and the late U.S. senator Paul Tsongas enacted legislation that created the Lowell National Historical Park in 1978, of which the Boott Mills became part. 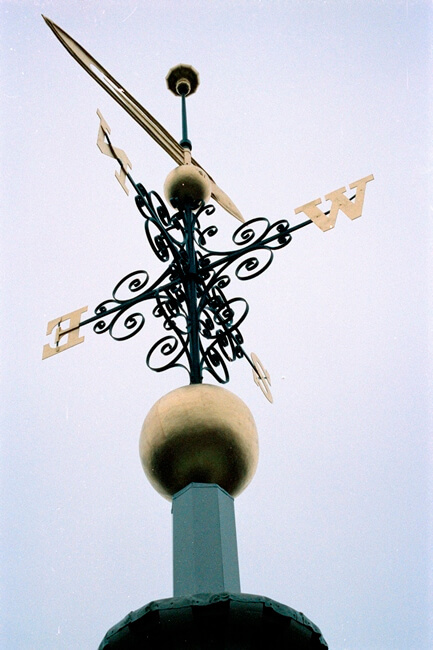 Before Boott Mills could open to the public as a museum, however, extensive restoration was needed to multiple mill building components, including the clock tower. The Boott Mills are now a unique location and a fantastic example of adaptive reuse as well as mixed use for historic structures. 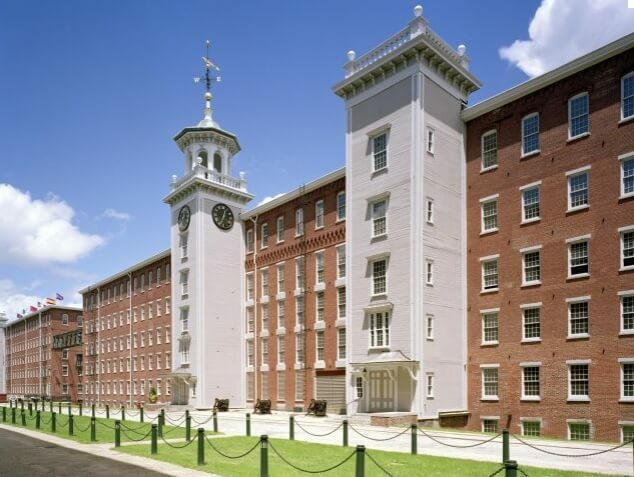 The historic mill complex now houses both the Boott Cotton Mills museum, part of the Lowell National Historical Park, as well as one, two, and three bedroom apartments. 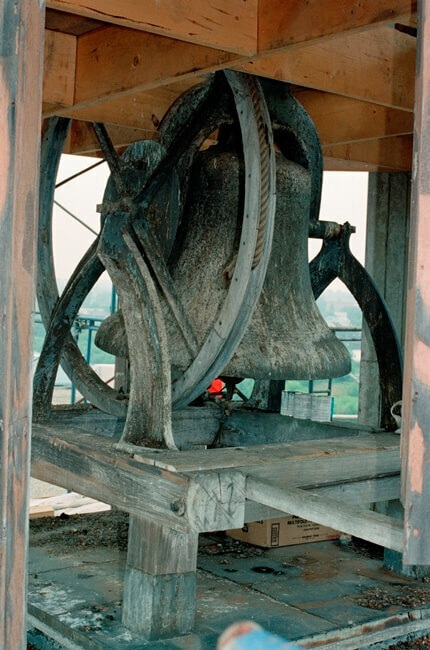 The historic exterior facades stand as a testament to the lasting effects of the Industrial Revolution, and the restored clock tower continues to operate as it has, on and off, for more than 175 years.